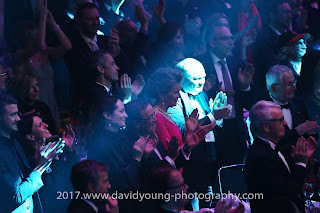 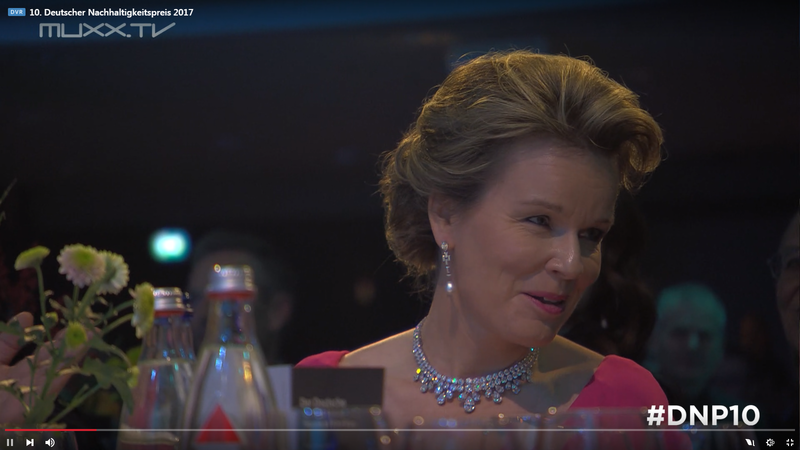 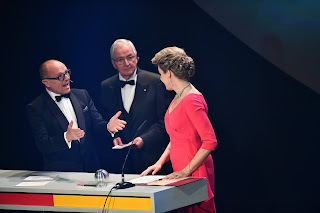 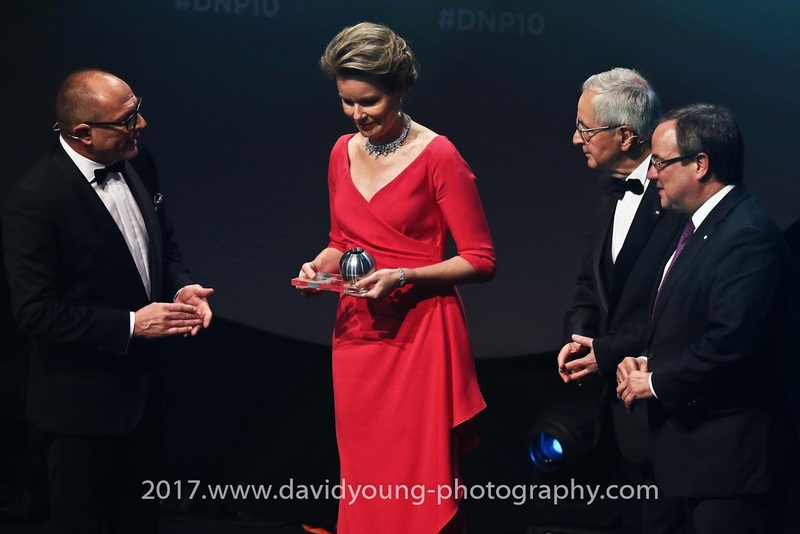 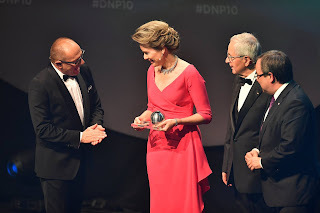 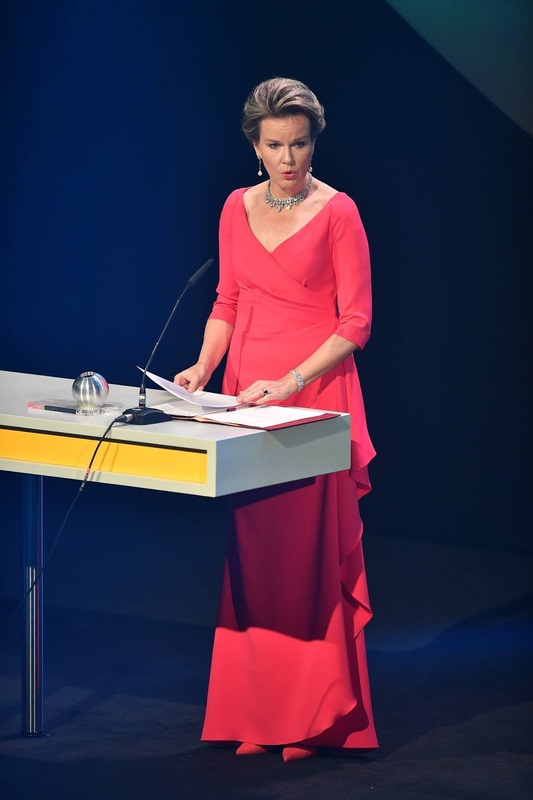 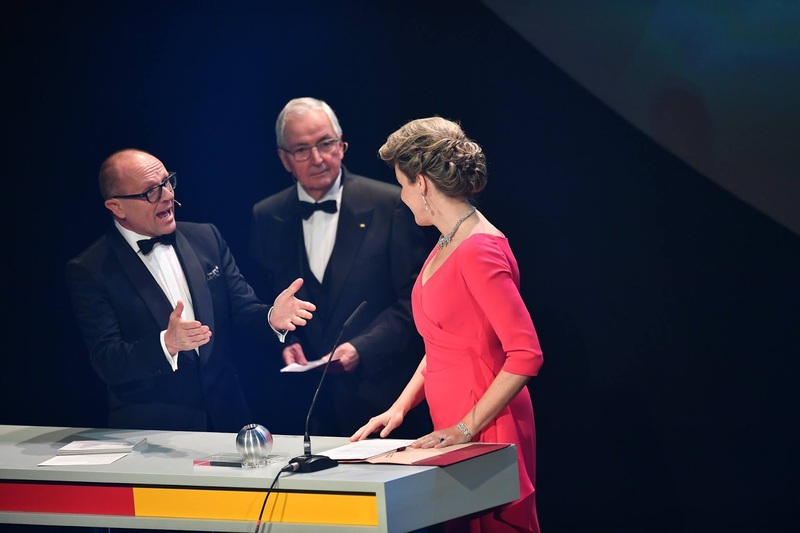 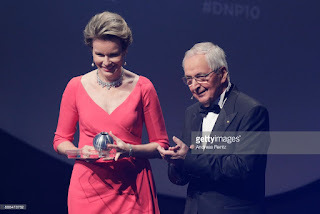 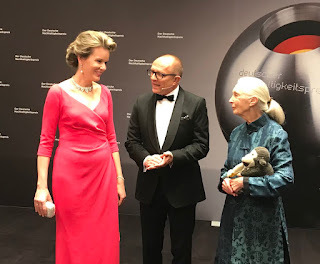 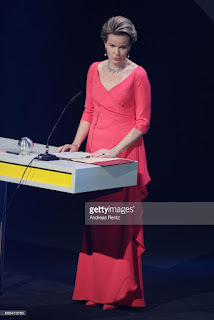 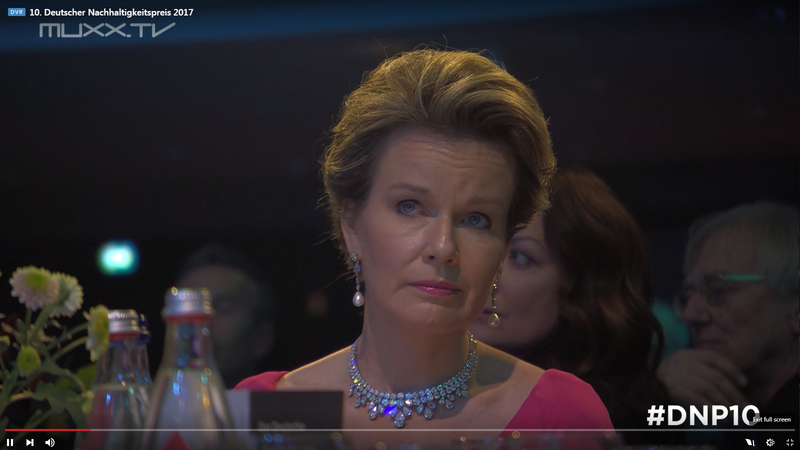 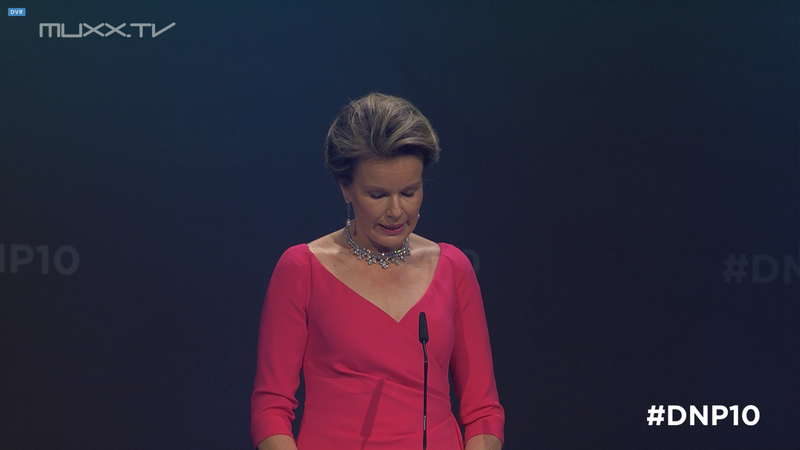 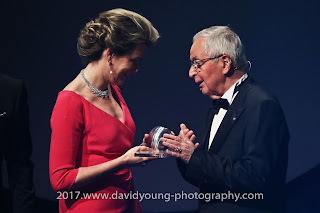 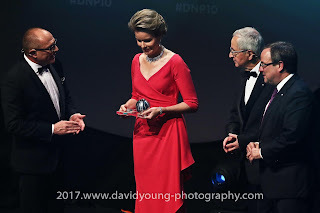 In Düsseldorf, queen Mathilde was awarded the "Honorary National German Sustainability Award" for her contributions to sustainable development and to humanitarian causes. Others who received an award were musician Annie Lennox, scientist Jane Goodall and actor Marius Müller-Westernhage. 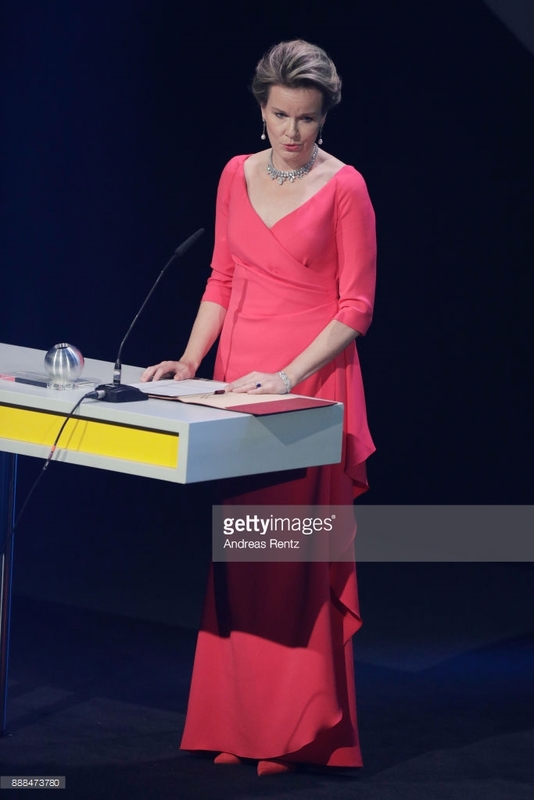 Mathilde started and ended the speech with a few phrases in German. 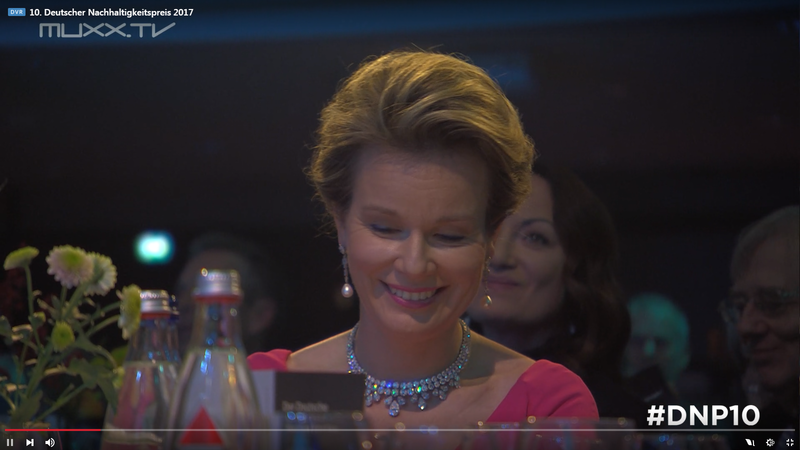 Wonderful look! What a dress! 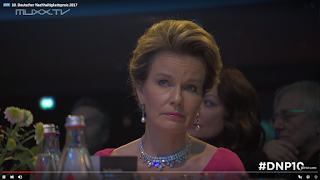 For the first time, the Queen wears the Wolfers tiara of the late Queen Fabiola in necklace. 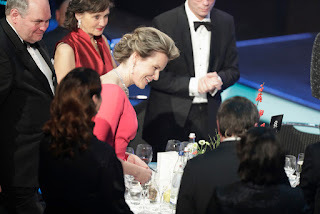 It's very beautiful. 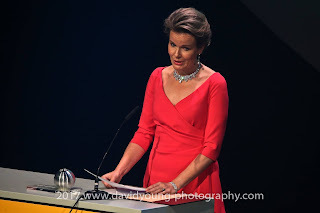 Necklace and updo made a big impression with pretty gown.She looked beautiful.